This is the final edition of the 8 Mistakes Businesses Make on Social Media blog series. If you missed part 1 or part 2, give them a look to get the full picture of this special series. Hashtags are one of the easiest ways to increase the organic reach of your message since they provide a way to get your message in front of people who don’t follow you. Despite this, a lot of businesses neglect to use them. Use hashtags, people! That said, you don’t want to get too cavalier with hashtags. Keep them short, and don’t use too many of them. Also, if you try to latch onto a trending hashtag, make sure you understand its tone. 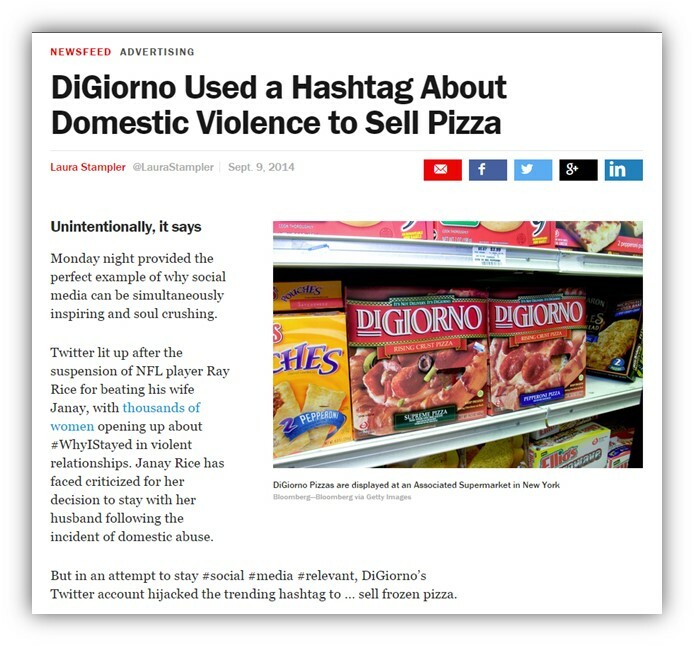 There have been many examples of brands who have found themselves on an apology tour because they did not appreciate the gravity of certain trending hashtags. So, when it comes to what’s trending, be sure to know the context. They treat it like a free lunch. Social media is a maturing industry that is generating big money. Facebook, Twitter, LinkedIn, Instagram, Vine, YouTube, Google+ and Tumblr are all either publicly traded companies or owned by publicly traded companies. Their shareholders expect these companies to turn a profit, and that profit comes primarily from advertising. The days of massive organic reach are fading fast, and paying in order for people to see your message is becoming the new normal. If you do choose to promote your content, you want to make sure it is good. In other words, boost with intention. Only promote the best content and make sure it has a purpose. Carving out a monthly budget for boosted posts is a good idea, too.